A tag battle opens up a sea of opportunity for gamers. The Cross Generation of Heroes is one massive crossover of a fighting game. 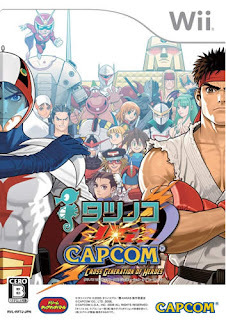 More than 16 heroes from Tatsunoko and Capcom fighters make their way into the roster in this Wii installment. The classic hero Ryu, the vampire Morigan, Casshern, and the genie Hakushon are just a few characters who have signed up.